Google is out shopping once again, and one of the goodies the company brings home this time is Fossil smartwatch technology that could eventually help it build the eagerly-anticipated Pixel Watch. The search giant will pay no less than $40 million for the technology and a group from the R&D team, which will join the company as part of the deal. The intellectual property being sold to Google is believed to include secret technology that hasn’t been announced yet and which could help the Mountain View-based firm innovate in the smartwatch industry should it decide to launch its own device. 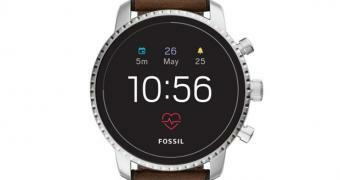 Greg McKelvey, Fossil’s executive vice president of chief strategy and digital officer, confirmed for Wareable that the technology sold to Google is a “new product innovation that’s not yet hit the market.” No specifics were provided on this tech.